As you may have heard, I love the poncho trend this fall. There are so many different styles and weights to choose from. Ones that are boho inspired, ones that are lightweight and perfect to throw on over a t-shirt and jeans, and ones that are little dressier. Today, I’ve enlisted the help of a few fashion friends who also love this trend and are styling it well I might add! 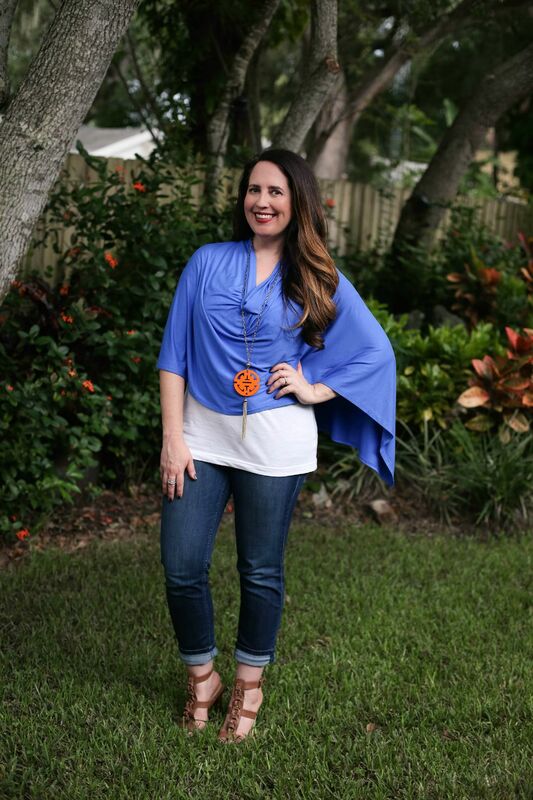 I agree – ponchos are very forgiving when it comes to a few extra pounds! Such a gorgeous color combination! I love a piece as versatile as this one. I can’t wait to see how else she wears it! It looks stunning with her leggings and blue blouse. 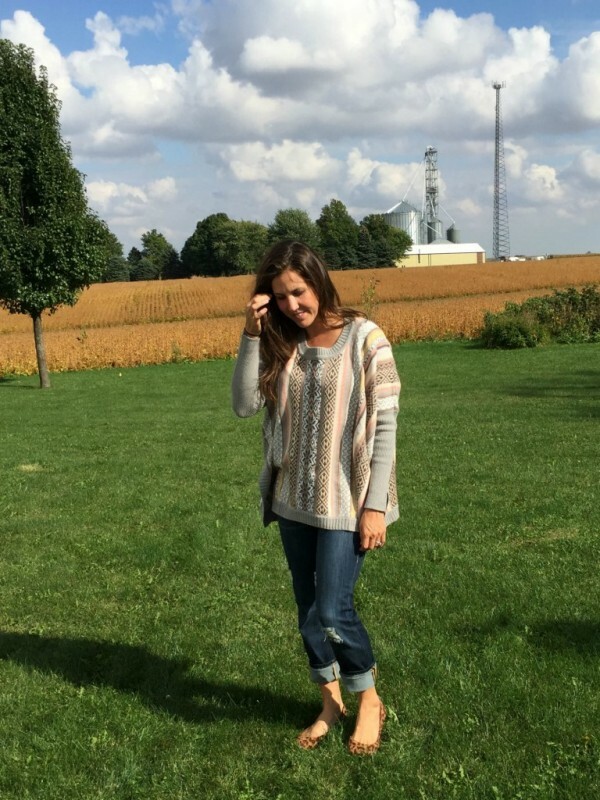 Here are a few outfits I put together with various ponchos for fall. Thank you for the feature. 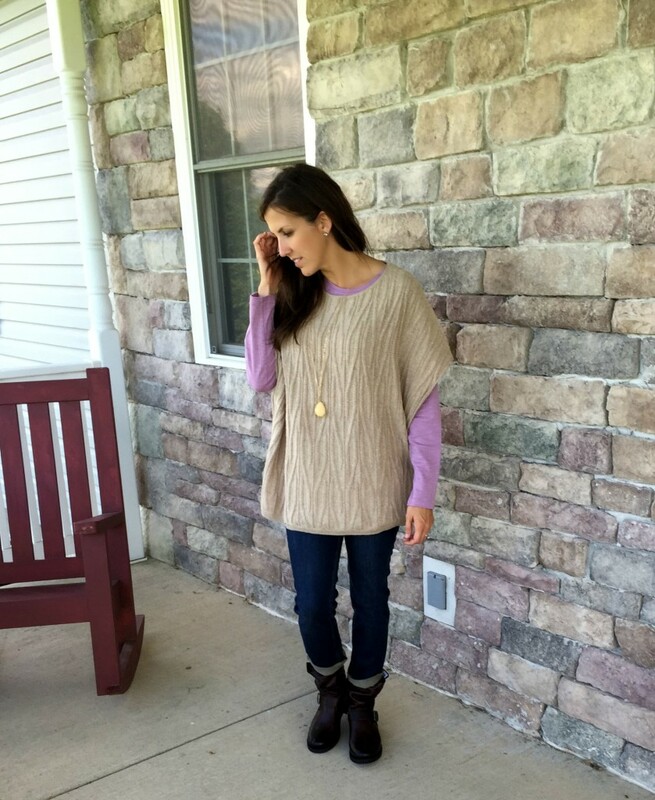 I adore these poncho’s, now if these 80 degree days would move on so I could wear mine. I love that black and wwhite one you’re wearing. Ugh! I know. It was 95 here yesterday!